New research from ABTA has suggested that the UK ski market is actually twice as large as previously thought. 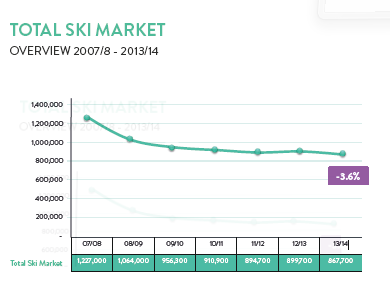 The main sources for estimates of the size of the UK snowsports market in recent years has been the Crystal Ski Industry Report and the Ski Club of Great Britain report. The ABTA numbers refer to the current season, rather than previous years, but still suggest a much larger market than believed. In the last two years both reports have implicitly recognised the limitations of trying to estimate the size of the market. The Ski Club of Great Britain has moved from delivering absolute figures and has instead focussed on relative figures, particularly the Net Promoter Score for different resorts, countries and tour operators. While Crystal Ski still offered a figure for the size of the market in their 2014 report, they reduced the scale of their report significantly, cutting out much of their previous analysis. Their 2014 report showed that the size of the market was 867,700 in 2013/14 – a fall of 3.6% on the previous year. 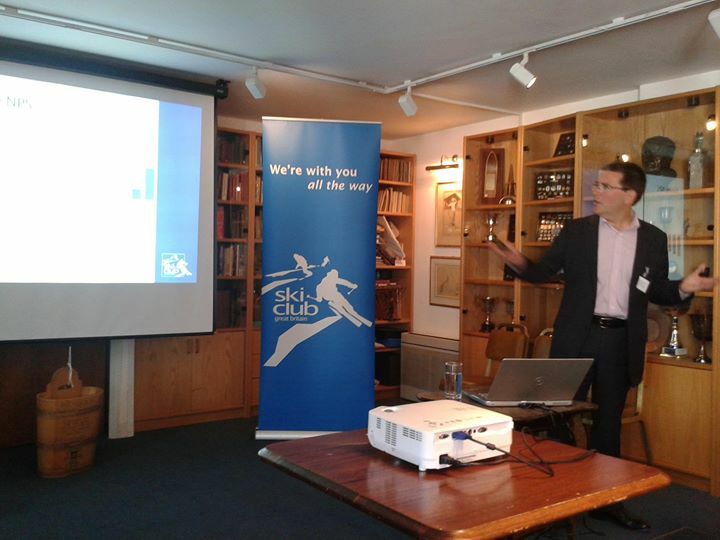 The Ski Club of Great Britain have not committed themselves to a figure for the size of the market since 2013, when they estimated it at 1.4 million. In 2014, CEO Frank McCusker, would only say that it was ‘not far off the million mark’. However, research by ABTA at the end of last year, showed that 12 million people were planning a winter holiday, and that of those 18% were planning a ski or snowboarding break. That suggests a market size of 2.16 million – more than twice any of the other estimates. The ABTA research was conducted by Arkenford Ltd – specialists in tourism market research – and used a nationally representative sample of 2000 respondents. It was conducted back in July 2014, so it’s reasonable to assume that some of the 23% who were ‘undecided’ at the time, may well have ended up booking a holiday and increasing these numbers even further. For many years various people in the industry have suggested that the actual market size is much larger than estimated by the Ski Club and Crystal – who have tended to understate the independent market. It may also be the the ‘Sochi bounce’ – which has seen participation levels at domestic slopes increase by 11% year on year – has impacted through the holiday market. So, while the actual market size is neither here nor there for any tour operators attempting to sell holidays, it is perhaps encouraging to know that there are more of us out there than originally thought!